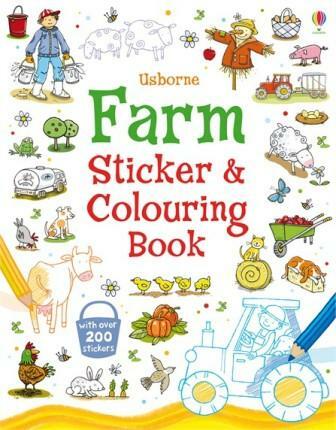 Join in the fun on the farm with this bumper activity book containing over 200 stickers to add to the busy scenes. With lots of pictures to colour and complete, including ‘Milking time’, ‘In the orchard’ and ‘Feeding the hens’. A great value activity book with lots to spot and talk about, including familiar farm animals, tractors, plants and people.